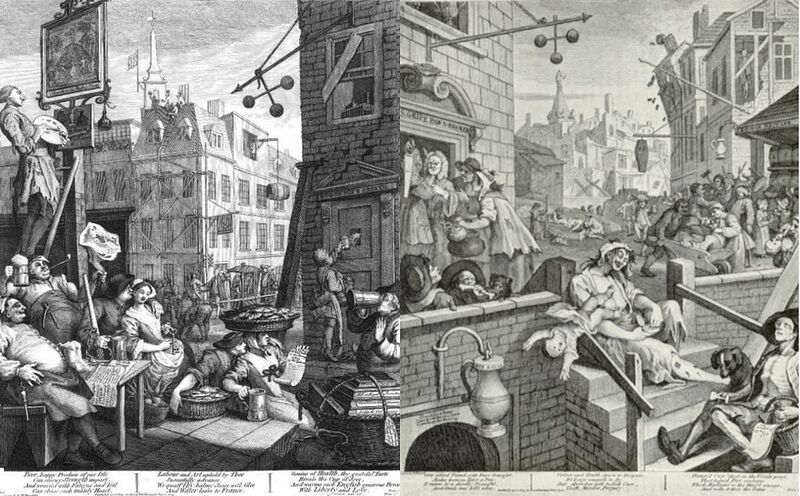 Compulsory History Lesson: Beer Street (left) and Gin Lane (right) are prints issued in 1751 by artist William Hogarth (click to enlarge). Designed to be viewed side-by-side, they depict the evils of gin - at this stage a foreign drink - and the merits of local beer. Presumably, then, local gin would have been okay, right? To celebrate World Gin Day (tomorrow) we're keeping gin local and demonstrating that although the Dutch invented it and Londoners stole it, we Brummies perfected it. Since 1920 Langley Green Distillery, four miles from central Birmingham, has been producing some of the finest gins on Earth. 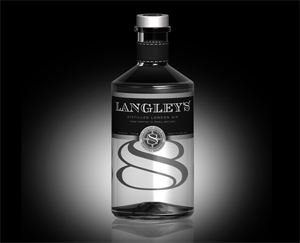 Pick of the bunch is Langley No.8, painstakingly developed over 2 years using 8 botanicals to deliver the perfect G&T. If you're proud of Birmingham, this should be in your cabinet. Available at Harvey Nics. 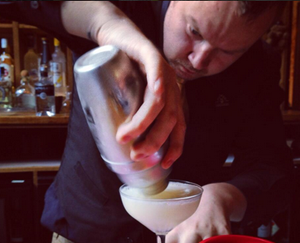 A recent gin competition in which bartenders from around the city competed for the best cocktail that demonstrates "local flair" was won by The Edgbaston. Their "Local Legend" uses honey from Birmingham's apiaries, Bird's Custard and Langley No.8. 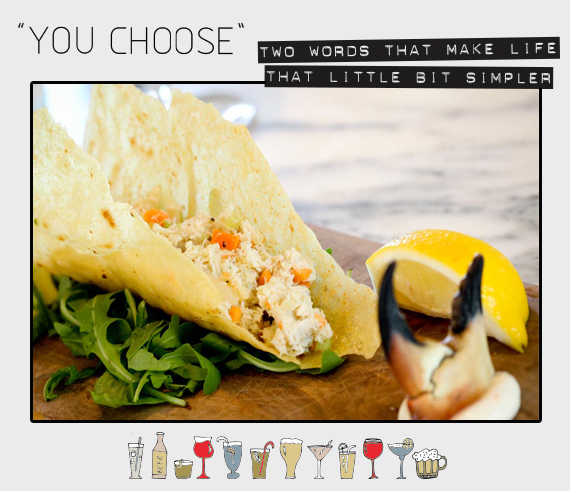 It's on their menu now and will set you back £7. Worth every penny, rest assured. Every day the gin aficionados at The Jekyll & Hyde offer their Mad Hatters Tea Party (cakes, sandwiches, scones, jam etc) but to add some serious theatre to the serve they provide a tea pot, bath tub, bowler hat, or watering can of first rate gin cocktail. 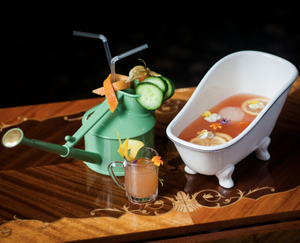 We recommend Madam Genever's Bath Water (£25, serves 4). You know what you should do? 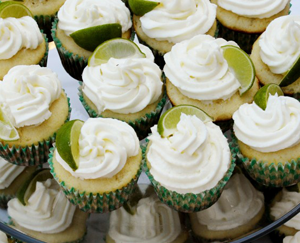 Turn up at the next party you attend with a dozen gin & tonic cupcakes, from Birmingham's brilliant Devenishgirl Bakery. They consist of a light juniper, lime and G&T flavoured sponge, topped with buttercream infused with gin and finished with fresh lime. Contact them directly, cakes cost £1.25 each. Never let it be said that we don't give you fair warning. 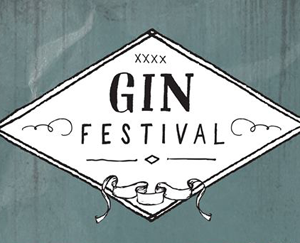 Birmingham's first Gin Festival arrives in Digbeth this September and will showcase over 50 different gins. Expect tastings, masterclasses, food pairings and tonics galore. Tickets are £5 and we're predicting a sellout. Hardly pricey so perhaps book now, eh? 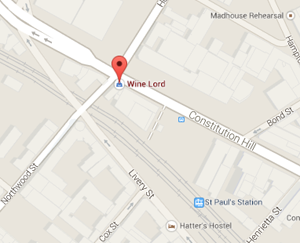 Ever been to Wine Lord on Constitution Hill? It's like the tardis of off licences. Their tagline ("If we don't have it, they don't make it") dictates that they can get their hands on, literally, any gin you can thank of. "We've been here for 36 years," the owner tells us. "We have contacts." They also have Fentimans, Fever-Tree and 1724 tonic. Birmingham-based lighting specialists Nuvarti are both lovely and talented. Don't you just hate that? Playing on that honourable British desire to support local goods, they have created Kilner jam jar lights (among many slick products) that are handmade entirely in Birmingham - mainly Stirchley. Eye-catching cord colours give a playful element to the product, whilst the ever iconic stamp of Kilner boasts a British brand. The lamps start from £60 with free P&P in the UK. You can send them back if you're not so keen. Head to their site to see all their other wondrous illuminating thingummies. The Electric Cinema hosts The Found Footage Festival (July 28, £12 - £15), a gloriously daft event that showcases videos found at garage sales and thrift stores, in warehouses and dumpsters throughout America. Curators Joe Pickett (The Onion) and Nick Prueher (Letterman) take audiences on a guided tour of their latest and greatest VHS finds, providing live commentary on the footage. Among the new clips featured in the 2014 programme is a martial arts fitness regimen in which a chap named Paul, helps out a lot. Watch it here, book tickets here. "Thank you, Paul." Immediately stop what you're doing and read this. Oh, you were reading this, right? You now officially have plans on October 15 to 19, so stick them in the diary. The world famous Oktoberfest is heading our way and will see 2500 people in one tent, in Cannon Hill Park. 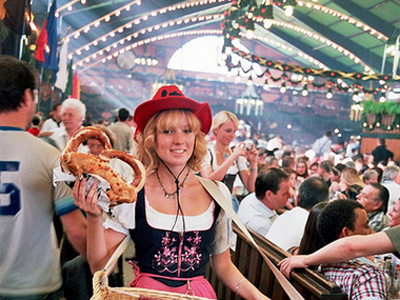 Filled with live Schlager music, cold beer, giant glasses and Bavarian food, it's one not to miss. Entry on Thursday, Friday and Sunday is £5 and on the Saturday it's £10. Alternatively, they offer a food, beer and seat deal for £34 per day (£39 on Saturday) entrance inclusive. More info here.